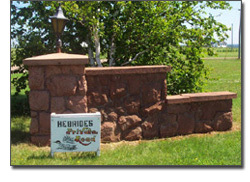 This is the official website of the Hebrides Homeowners Association. It is the key point of communication between the Association and members, providing you with need-to-know information at your fingertips on the events and recent news associated with the Association. We hope you find that it enhances our ability to communicate with members by providing a central location for news items, important Association documents and an annual calendar of events, all of which will assist us in improving the quality of our community. Although most of the website is public, the Members Area contains documents that are only accessible to members. If you have forgotten your username and password to access this site, please go to the Board Website Contact at the Contact Us link.